New Year, New Me, but I still haven´t taken the time to post a lot of recipes. I have taken a lot of food pictures but I just don´t have the urge or the time to sit down and write about it. 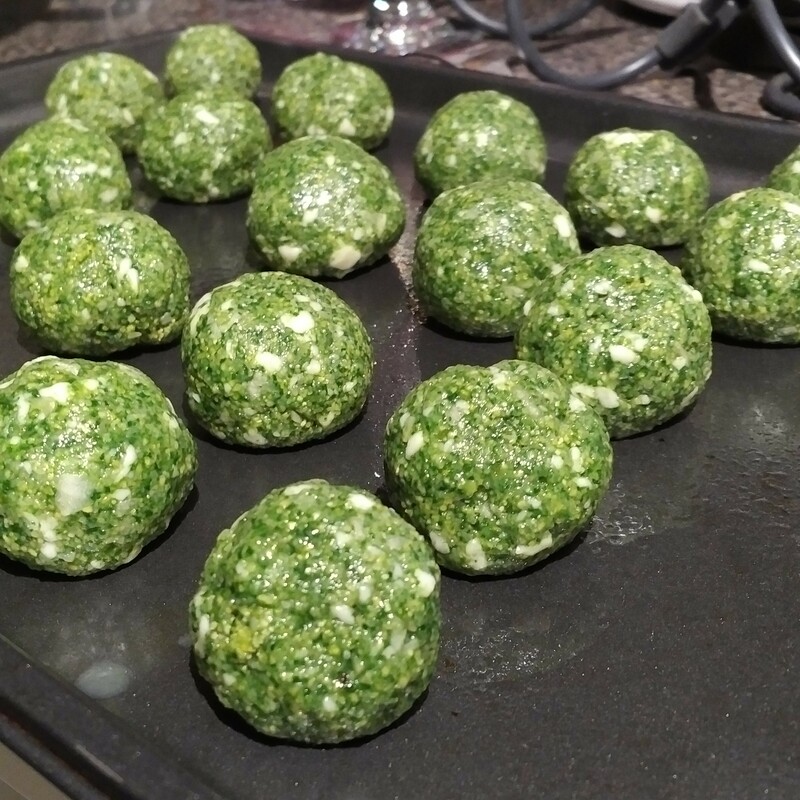 Right now 1 recipe per month will do lol Maybe when we finally get the house I have more time to cook and post but until then…..make some spinach balls! 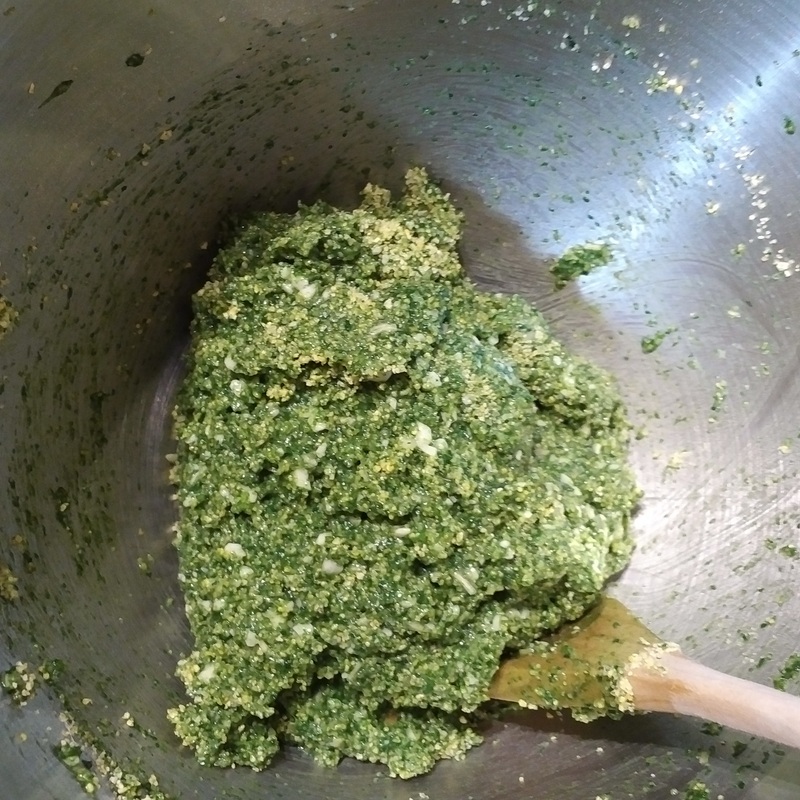 Place the washed spinach into a saucepan and cover with boiling water. Boil for 3 minutes. Rinse the spinach with cold water and drain. 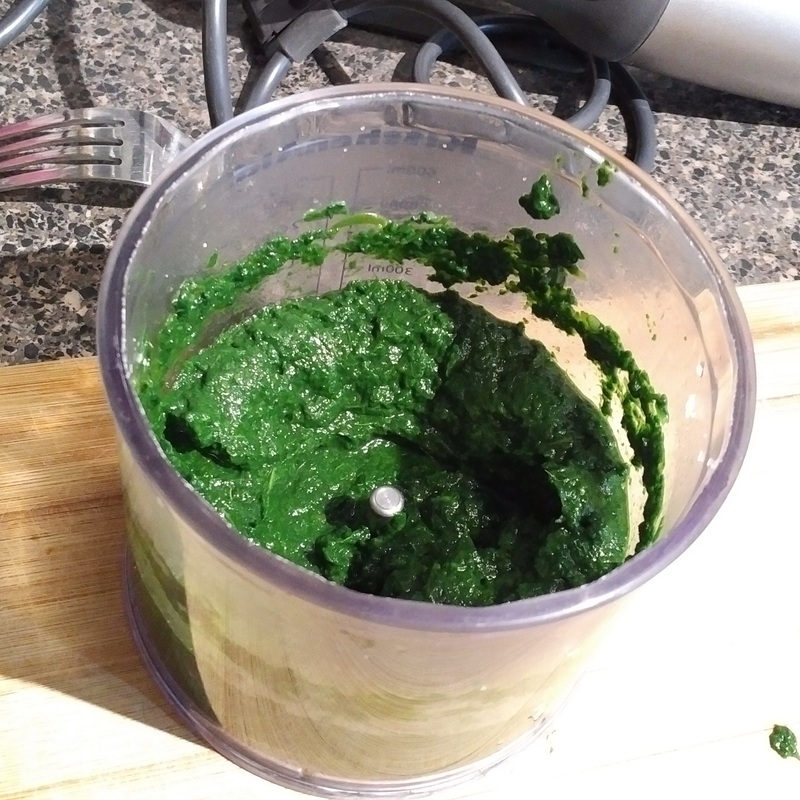 Use the food processor to puree the spinach. 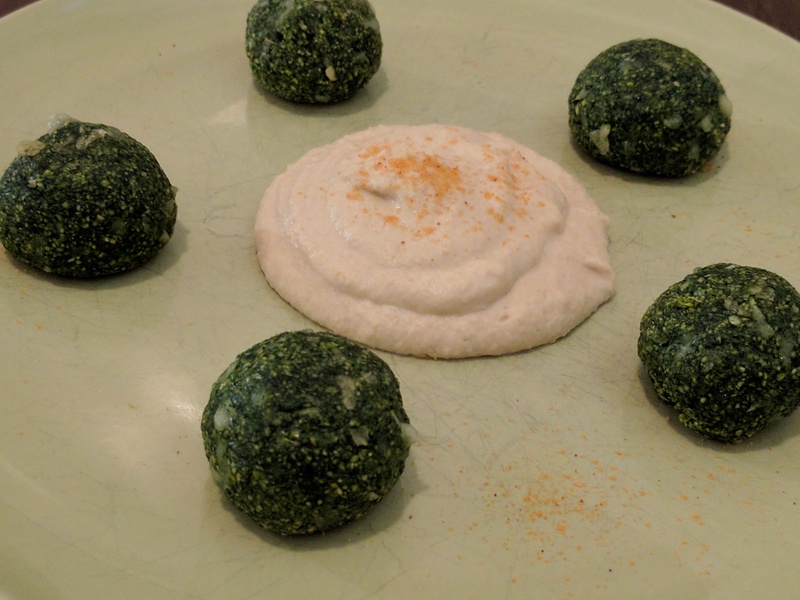 Place the balls on a non-stick cookie tray. Bake at 350 F 25 minutes. I flipped them over 15 minutes in. 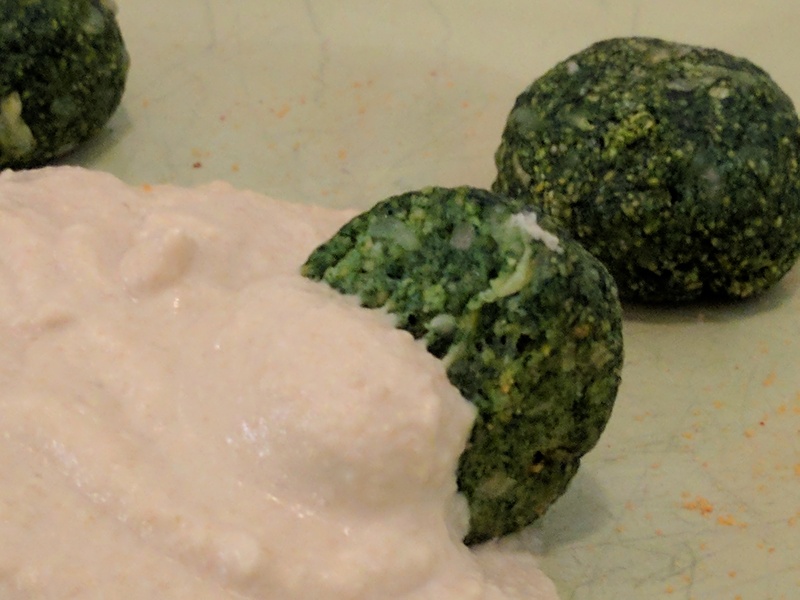 I served them with homemade hummus that my husband prepared and a nice glass of white wine! These balls are very filling!! !